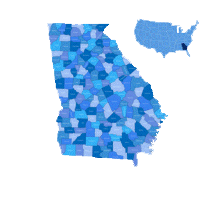 Georgia Personal Injury Attorney's in Bainbridge, GA as well as statewide, saw an increase in cases overall in 2017. Many Attorneys like Mark F. Milhollin / Milhollin Law have seen an increase in Truck (Semi-Truck), Auto, Motorcycle and Recreational Vehicle Injuries throughout 2017 that resulted in head Injuries, back Injuries, neck Injuries and unfortunately child Injuries suffered with and without seatbelts. Many of the Injured have survived horrific accidents and although the level of medical care is fantastic in Georgia, many of these individuals sustain lasting/permanent disabilities (now and in the future). 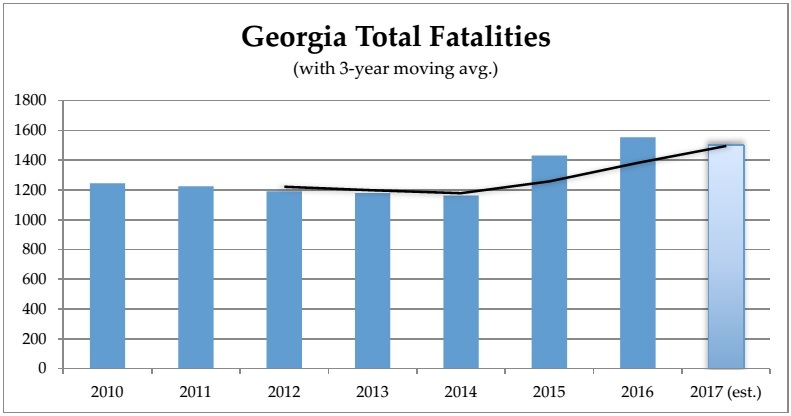 After steadily declining since 2006, Georgia traffic fatalities increased dramatically in 2015, and increased again the following year. In 2016, the State of Georgia suffered 1,554 fatalities in motor vehicle crashes (an 8.5% increase from 2015). Impaired driving killed 368 persons in those crashes (a 2.7k increase over 2015), and unrestrained fatalities numbered 476 (up 15.8% from 2015). Two hundred and sixty-six (266) of the total 1,554 fatalities were related to speeding — a 2.7k increase over 2015. Although fatalities still have not returned to the levels seen in 2007, when Georgia experienced 1,641 traffic fatalities, the statistics continue to be troubling. The nation as a whole and our neighboring states all saw increases as well (U.S. up 5.6%, Alabama up 22.1%, Florida up 8.0%, South Carolina up 3.7%, and Tennessee up 8.2%). Preliminary estimates for 2017 suggest that the number and rate of fatalities may at last be decreasing again, thanks to GOHS' evidence-based traffic safety enforcement plan.